Best known as the only major distillery on the Isle of Skye, Talisker fills a unique spot in the single malt world, bridging the gap between the heavy peat of Islay and the brighter styles of the Highlands, to which Skye is actually closer in proximity. At just 10 years old, Talisker is on point. The nose sees moderate but not overwhelming peat up front, with a fruity character to the smoke that makes it easily approachable — showcasing notes of nougat, brown butter, and juicy raisins. The palate follows mostly in lockstep, tamping down the smoke with elements of fresh apples and spices, butter cookies, and some salty seaweed-and-brine-driven notes that keep one’s thoughts attached firmly to the sea. The finish sloshes all of this up into a relatively cohesive — though still youthful — whole, making for a surprisingly satisfying dram that represents one of the best values in single malt at this age level. Skip the younger versions (cask strength or not) and most of the NAS renditions (of which there are at least a whopping six). Please tell me where you can find this for less than 70$? 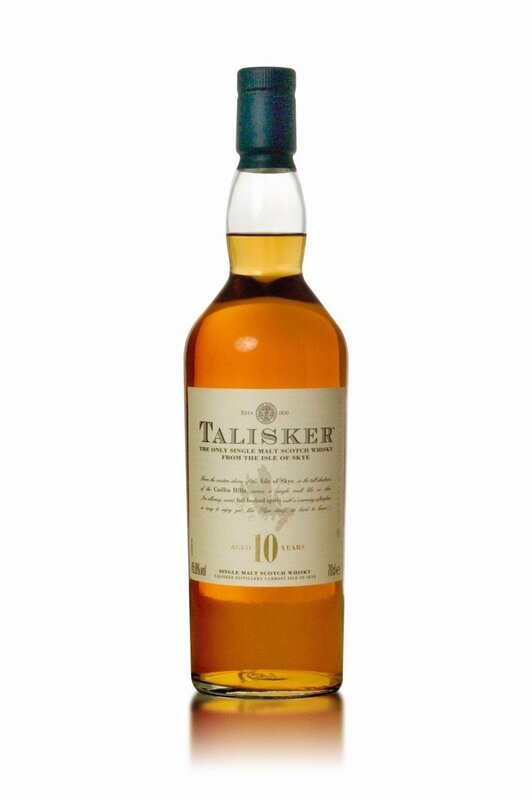 This is widely available in the $40s: https://www.missionliquor.com/product/talisker-10-yrs-750ml/3601 for example. Check winesearcher.com and you’ll find lots more options. If you’re seeing $70 you’re being horribly gouged.